This zen temple is located on the foot of Mount Futoh. 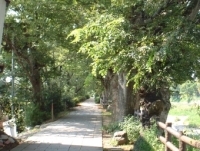 It's dry landscape garden, which was first built in the early Edo Period (1603-1868), was designated as a national place of scenic beauty in 1934. 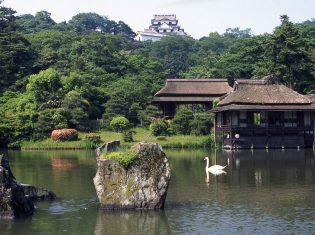 The garden's particular points of interest are its rock arrangements, and its use of the green of its moss in place of white sand, to represent the flow of water. Seen just after a rain shower, the garden is as beautiful as a painting.